Short tent rentals usually apply on periodical outdoor activities such as large exhibitions, outdoor activities, parties, weddings and so on. 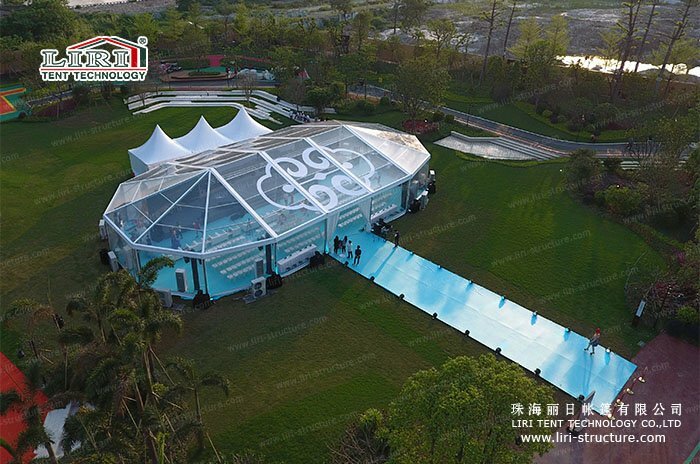 Liri tent provides unique designs of Pagoda tent, Half Sphere Tent, Polygons tent and 3-80m long-span Frame Tents for rental to meet your requirement. What is more, we also provide wood flooring, ceilings, curtains, glass walls for all kinds of outdoor activities. We have extensive experience in tent rental services, cooperation with many well-known brands such as Mercedes-Benz tour, EUROPEAN TOUR and so on. Long-term rental tent usually applies on warehouses, industrial plants, stadiums, and other temporary structures function. Compared to traditional architecture, the tent is more flexible and convenient, because it does not require for land approval, and easy to assemble and disassemble. You can choose sandwich hard wall or glass wall as an option to make this structure be more airtight. What is more, we provide a scheduled maintenance services, to make sure everything is perfect during renting the tent. 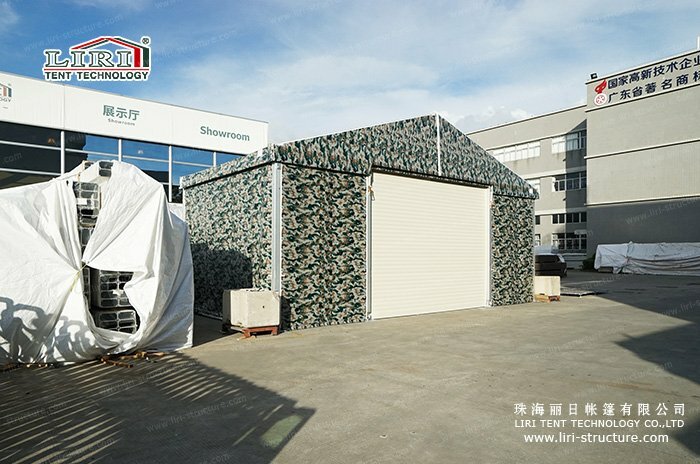 LIRI TENT is the first tent manufacturer with 20 years’ history in China since 1997. During the past 20 years, all staff in LIRI worked wholeheartedly and earnestly. Now we see LIRI is growing into a well-known brand in the world and the quality of our products is trusted by all the people. LIRI TENT becomes the first and largest tent manufacturer in China, because of our high quality and service can be guaranteed. 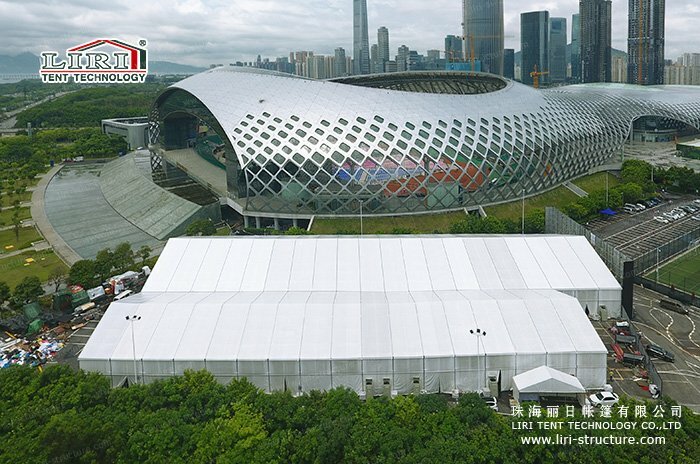 What is more, LIRI tent has a big inventory with more than 100,000 square meter tents for rental business, therefore, we can make the best solution for all kinds of temporary structure projects, no matter short-term or long-term project.